Most discarded objects such as plastic toys, utensils and metal objects will fall fate to an eternity in a landfill, but artist Sayaka Ganz sees a second life in them. In a move for both the planet and art, Ganz recovers all of this junk and upcycles it into animal shaped sculptures. 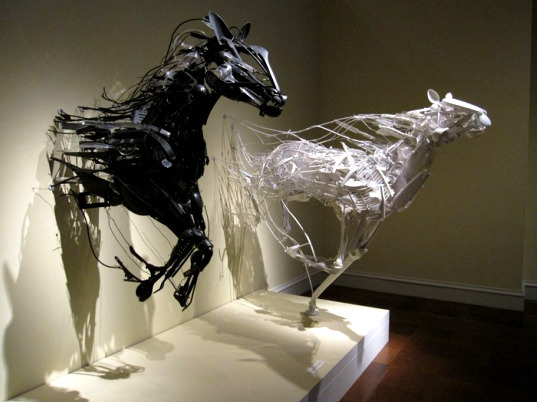 Meant to depict animals caught in motion, at a distance the sculptural effect is certainly striking – one look and you can’t help but think you’ve just caught a real life leap or swoop frozen in time. Sayaka has already created a number of such sculptures for her collection, all which draw inspiration from her time abroad in various countries. As an artist creating these pieces, she attempts to unravel and understand the mysteries of the world. She believes that by taking arbitrary pieces of discarded materials and fitting them together in a sculpture, sense can be made. 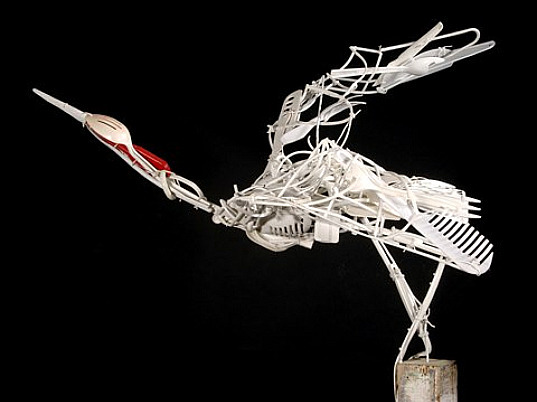 Most discarded objects such as plastic toys, utensils and metal objects will fall fate to an eternity in a landfill, but artist Sayaka Ganz sees a second life in them. In a move for both the planet and art, Ganz recovers all of this junk and upcycles it into animal shaped sculptures. Meant to depict animals caught in motion, at a distance the sculptural effect is certainly striking - one look and you can't help but think you've just caught a real life leap or swoop frozen in time.